Selkirk wheels, with their ten brawny spokes and beefy center cap, in a gloss black finish with bright milled edge detail are punctuated by oversized hex bolts at the lip edge. This wheel exudes a lifted truck temperament. Black Rhino Wheels has achieved renown as a manufacturer of heavy duty alloy wheels engineered for the muscular trucks and SUVs preferred by off road enthusiasts, as well as the great looking and often quite over-sized wheels sought by truckers more at home in the urban jungle. The company's new wheel design for 2016 includes the Selkirk - available in variations to appeal to both segments as well as the highly popular new Cross Over Utility Vehicle (CUV) segment. Black Rhino's manufacturing expertise has enabled them to combine a one-piece cast spoke and hub array fusion welded to a lightweight forged barrel, the best of two worlds. Selkirk truck wheels are multidimensional 10 spoke wheels. Between each spoke feature a precision machined chamfer that creates a strong visual tension of mechanical strength and continues back outward to the thin machined outer ring. This feature held down by a flat riveted end accentuate the boldness of the concave. The angle of the spokes reflect light back into the machining giving these custom off road wheels a radiant purposeful look. Catering to such a broad swath of the truck and SUV wheel marketplace requires that Selkirk truck wheels be available in a wide range of sizes and in precision fitments to fit all the most popular trucks and SUVs. Selkirk diameters start at 17x9 and with the larger sizes, including 18x9, 20x9, 2and 20x10 are engineered for domestic and imported trucks and SUVs, including newer Chevy Colorado, GMC Canyon, Dodge Durango and Jeep Grand Cherokees. 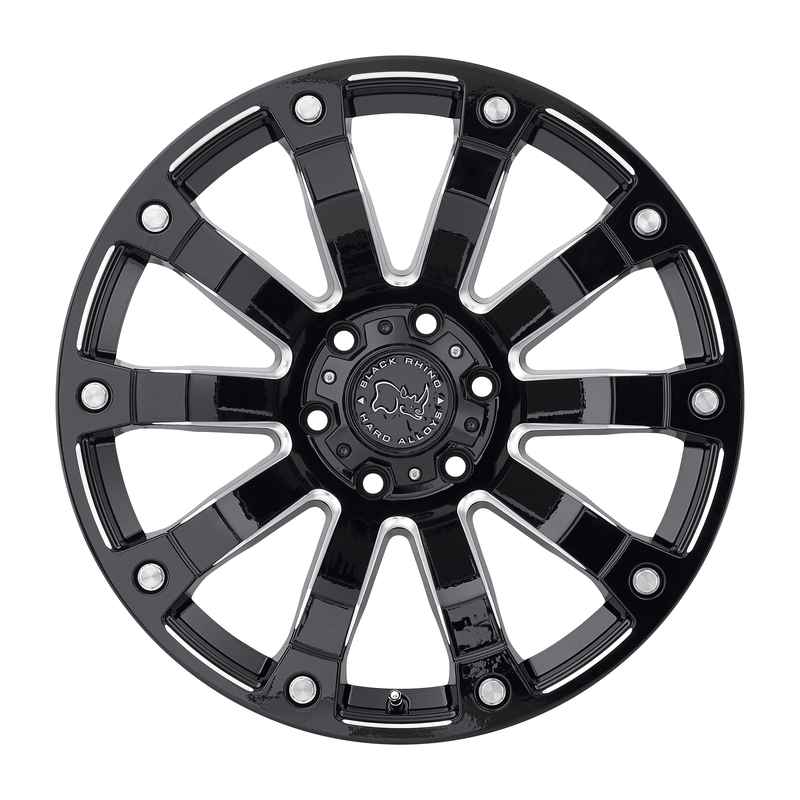 To promote precise, adapter-free fitments, Black Rhino Selkirk wheels are manufactured in seven different 5, 6 and 8 lug bolt patterns, and in positive, neutral and negative offsets to meet the varying needs of different truck and SUV applications. "Selkirk wheels, with their ten brawny spokes and beefy center cap, in a gloss black finish with bright milled edge detail are punctuated by oversized hex bolts at the lip edge. This wheel exudes a lifted truck temperament." says Terence Scheckter, President of Black Rhino Wheels. 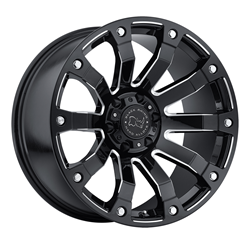 The newly refreshed Black Rhino website, enables vehicle owners looking for truck wheels and SUV wheels to experience what Selkirk truck wheels, and all Black Rhino designs, will look like on their vehicle. This is made possible by the “Wheel Configurator” tool, which helps shoppers to pull up an image of their year, model and color truck or SUV and see what each of the available Black Rhino models and finishes looks like on their vehicle. The website enables users to sort through the entire Black Rhino product line by vehicle, wheel size, construction methodology, style, design or finish. Prospective customers can learn more about Black Rhino in the website’s “Explore Black Rhino” section, including the Technology and Company pages section. There is also a Customer Gallery of photos uploaded by actual customers of their vehicles outfitted with Black Rhino truck rims. The company’s website includes helpful dealer locator tools, by zip code in the United States, internationally or by calling 1-888-766-7775. The website also features dealer support tools, including online access to the inventory in Black Rhino’s new 155,000 sq. ft. headquarters in Brea California. For dealers, wheels can be ordered on the website and orders received by 4pm ET are shipped the same day.